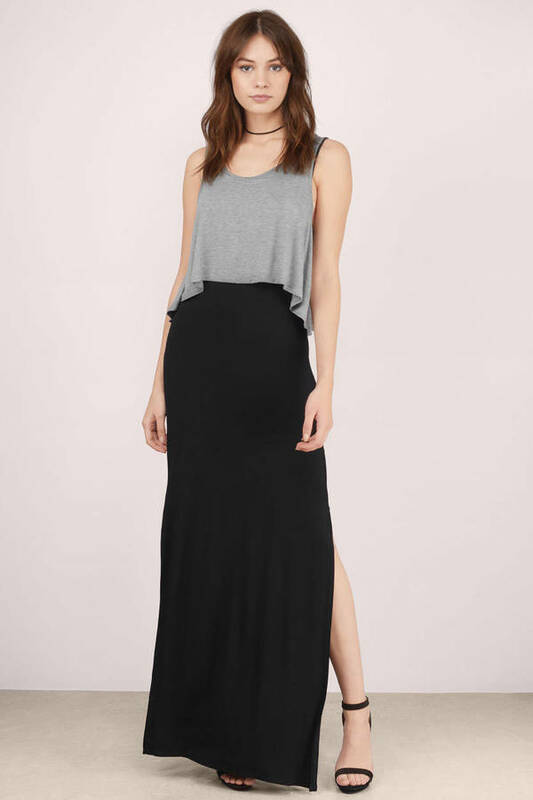 Check out Tobi's Meredith Maxi Dress Double layer dresses add an edge to casual party dressing. The Grey & Black Meredith Maxi Dress has a contrast tank overlayer with a high low hem to lend this thigh split dress some attitude. Effortless cool is yours in this tiered dress. Double layer dresses add an edge to casual party dressing. The Grey & Black Meredith Maxi Dress has a contrast tank overlayer with a high low hem to lend this thigh split dress some attitude. Effortless cool is yours in this tiered dress.